Rarely seen, this is a beautiful Erythronium with lovely lilac flowers and super maroon markings and dark pollen. It is a strong grower and once established bulks up. The leaves are also well marked giving an added bonus. 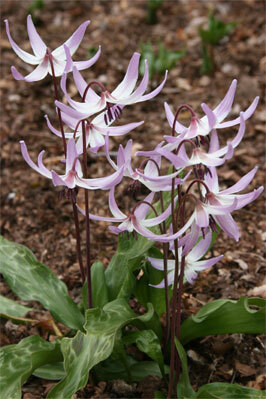 Plant as most Erythroniums in cool leafy soil in part shade 10cm deep. 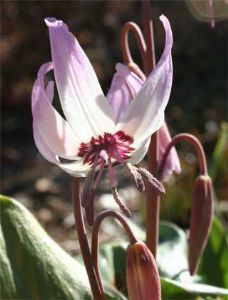 20cm tall.